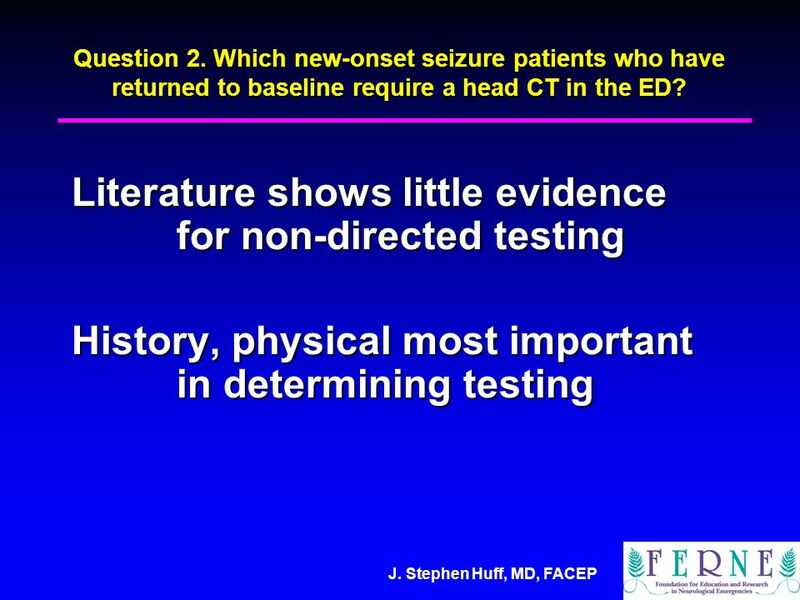 J. Stephen Huff, MD, FACEP Critical Issues in the Evaluation and Management of Adult Patients Presenting to the ED with Seizures: The 2004 ACEP Clinical. 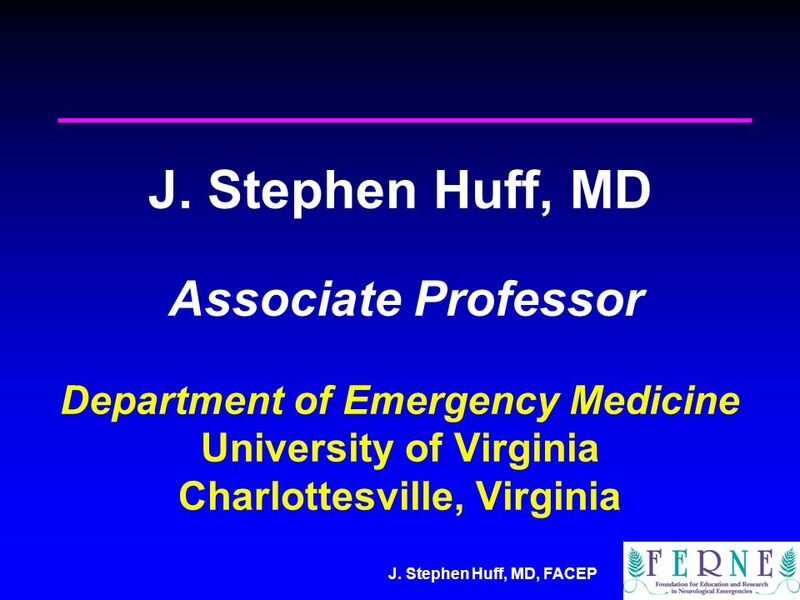 15 J. Stephen Huff, MD, FACEP Admission, AED Initiation? Level A recommendations. None specified. Level B recommendations. None specified. Level C recommendations. 1. 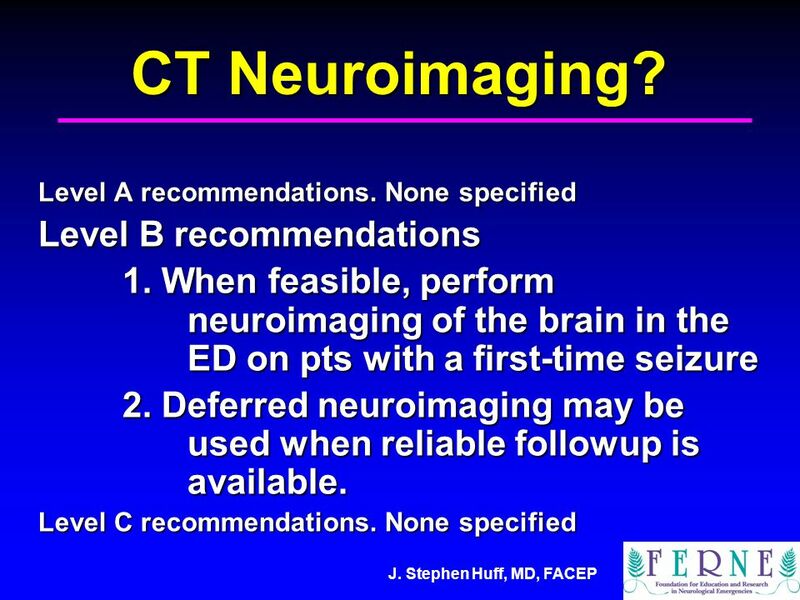 Patients with a normal neurologic examination can be discharged from the ED with outpatient followup. 2. 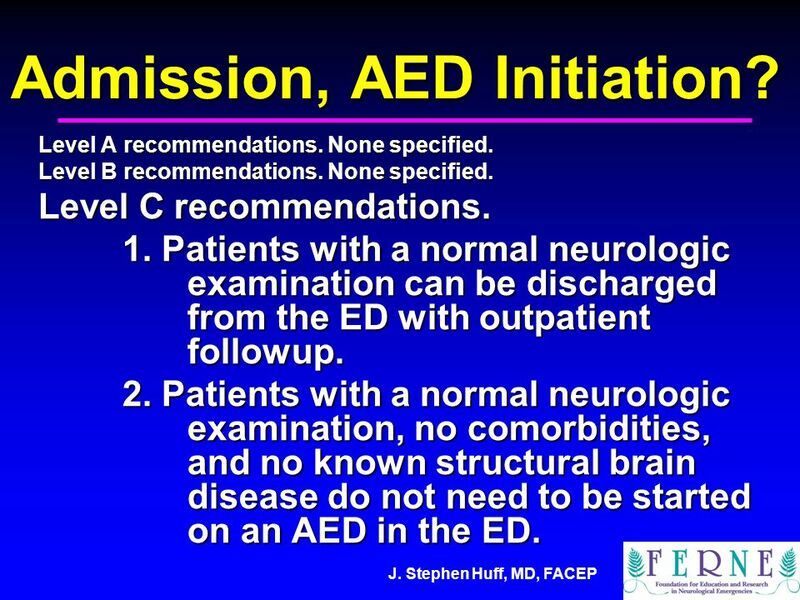 Patients with a normal neurologic examination, no comorbidities, and no known structural brain disease do not need to be started on an AED in the ED. 18 Phenytoin Loading? Level A recommendations. None specified Level B recommendations. None specified Level C recommendations. Administer an intravenous or oral loading dose of phenytoin or intravenous or intramuscular fosphenytoin, and restart daily oral maintenance dosing. 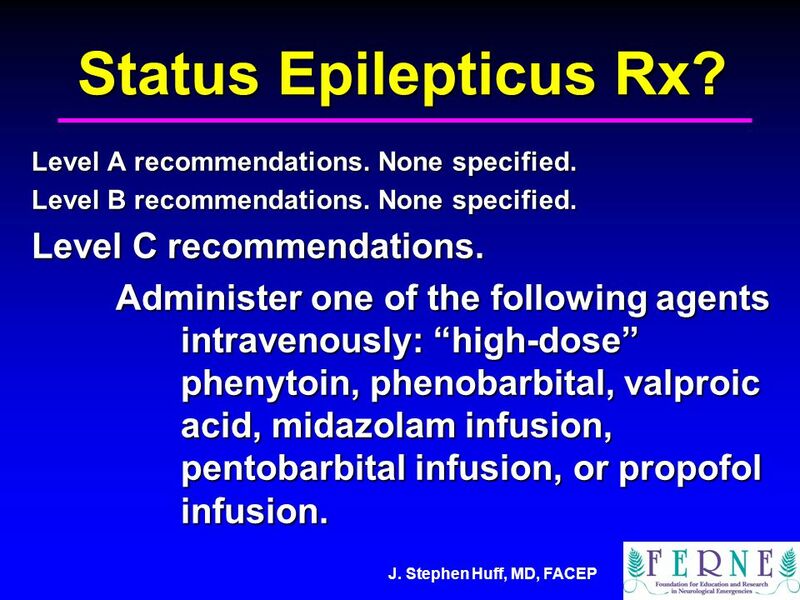 20 J. Stephen Huff, MD, FACEP Status Epilepticus Rx? Level A recommendations. None specified. 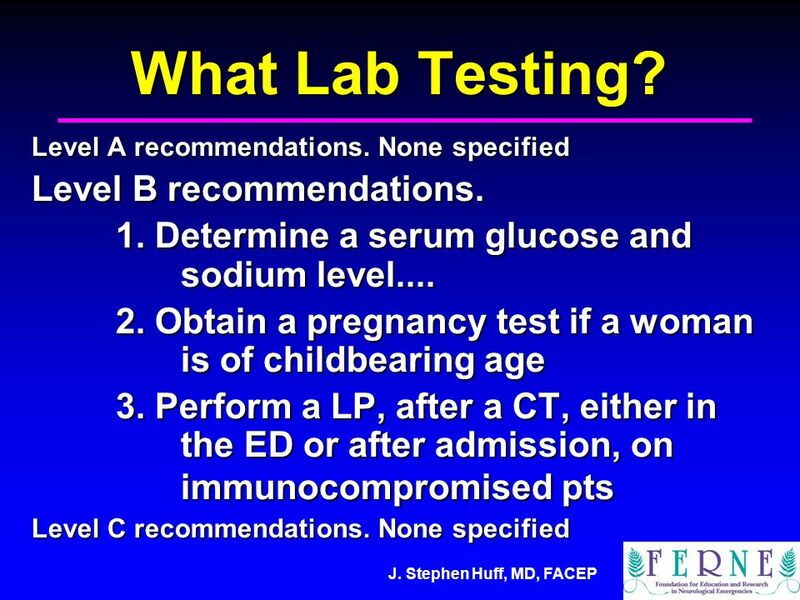 Level B recommendations. None specified. Level C recommendations. 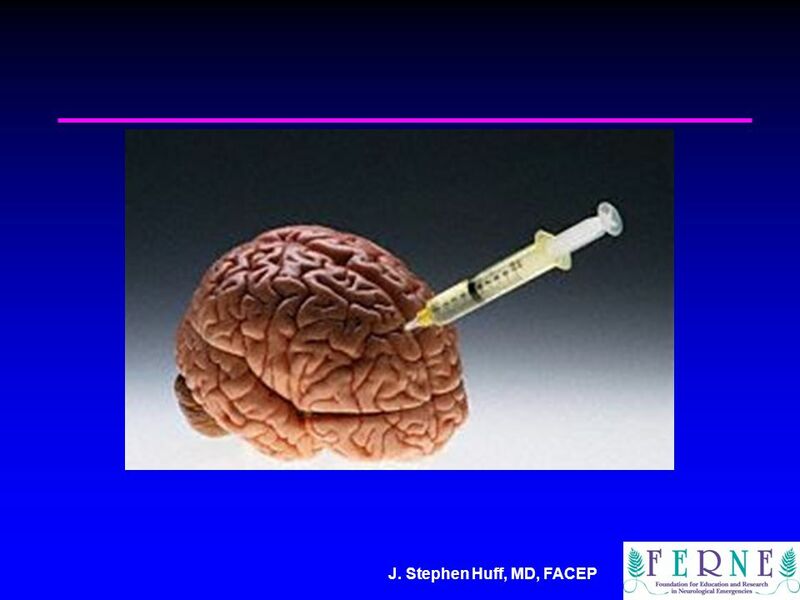 Administer one of the following agents intravenously: “high-dose” phenytoin, phenobarbital, valproic acid, midazolam infusion, pentobarbital infusion, or propofol infusion. 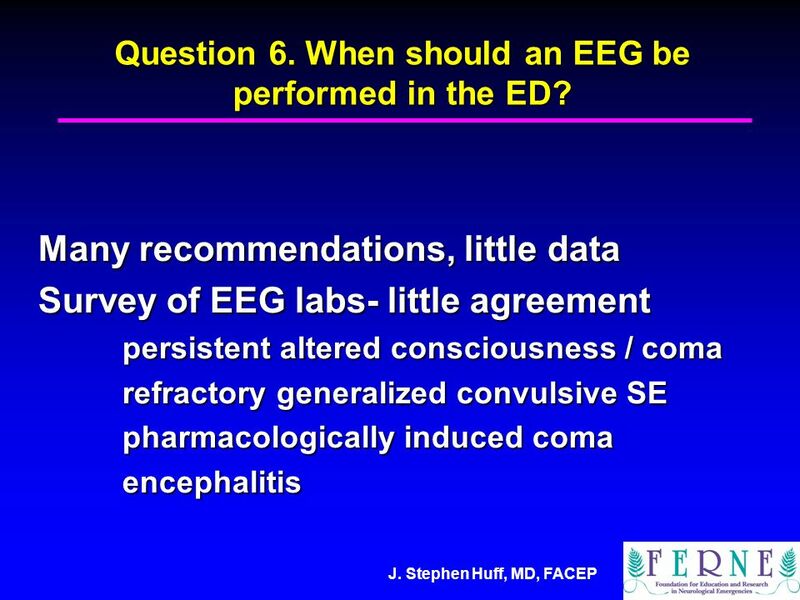 24 J. Stephen Huff, MD, FACEP ED EEG Testing? Level A recommendations. None specified. Level B recommendations. None specified. Level C recommendations. 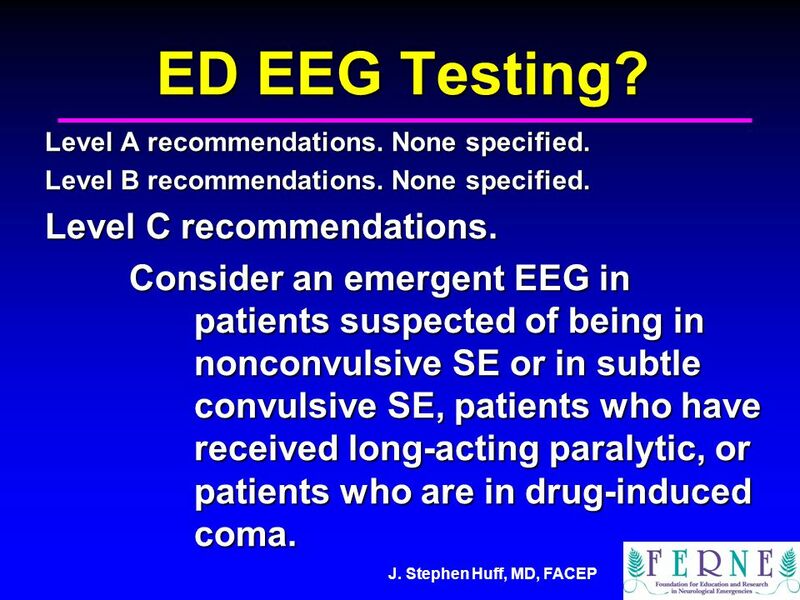 Consider an emergent EEG in patients suspected of being in nonconvulsive SE or in subtle convulsive SE, patients who have received long-acting paralytic, or patients who are in drug-induced coma. 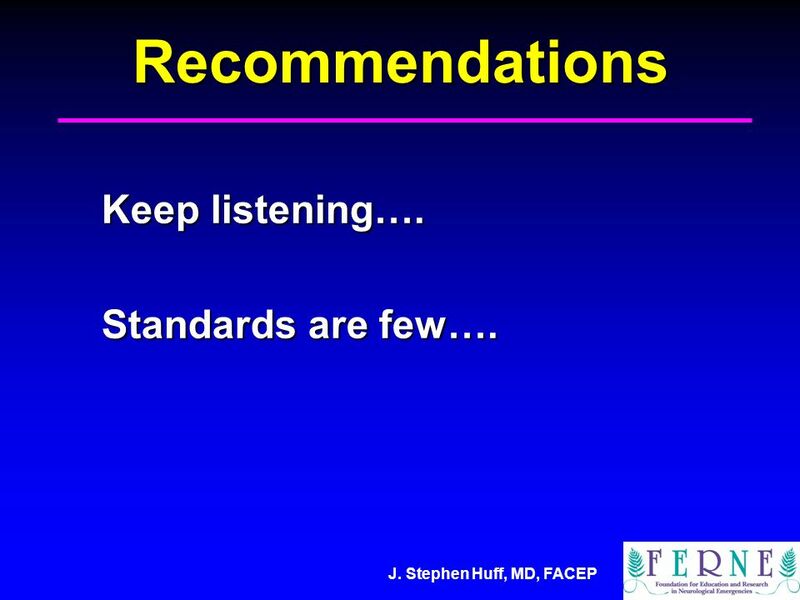 26 J. Stephen Huff, MD, FACEPRecommendations Keep listening…. Standards are few…. 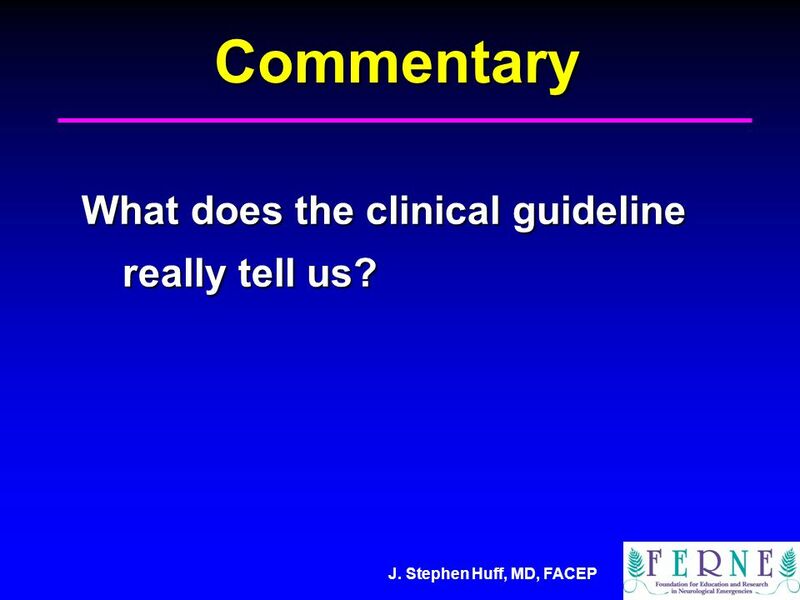 27 J. Stephen Huff, MD, FACEPCommentary What does the clinical guideline really tell us? 28 J. Stephen Huff, MD, FACEPCommentary Is the guideline clinically relevant? 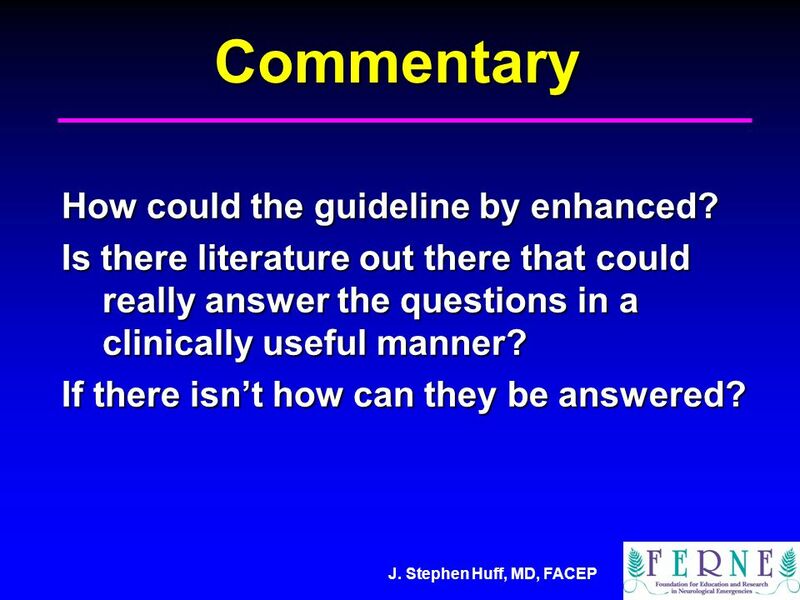 29 J. Stephen Huff, MD, FACEPCommentary How could the guideline by enhanced? Is there literature out there that could really answer the questions in a clinically useful manner? If there isn’t how can they be answered? 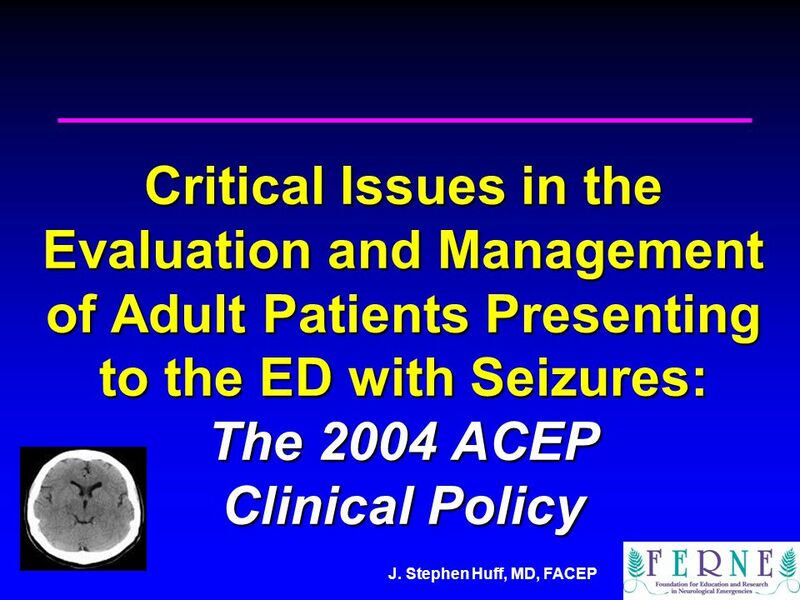 Download ppt "J. Stephen Huff, MD, FACEP Critical Issues in the Evaluation and Management of Adult Patients Presenting to the ED with Seizures: The 2004 ACEP Clinical." 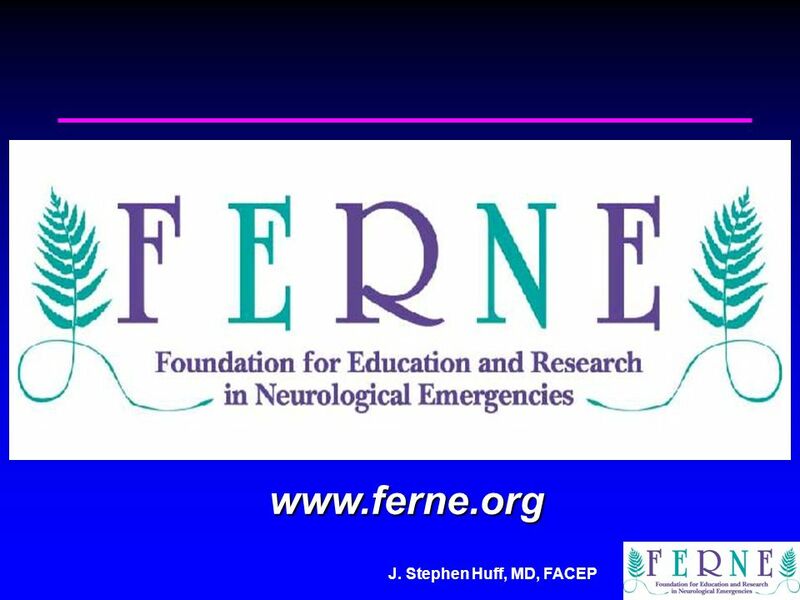 Edward P. Sloan, MD, MPH EMRA/FERNE ED Documentation Session: Optimizing the Care of ED Patients with Neurological Emergencies. 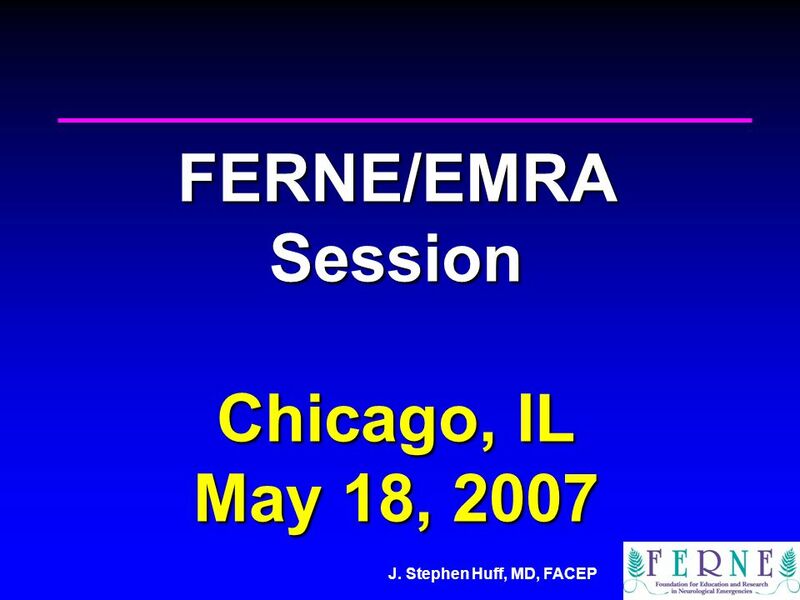 MANAGING SUBTHERAPEUTIC AED LEVELS Edwin Kuffner, MD, FACEP Rocky Mountain Poison and Drug Center Denver, Colorado. 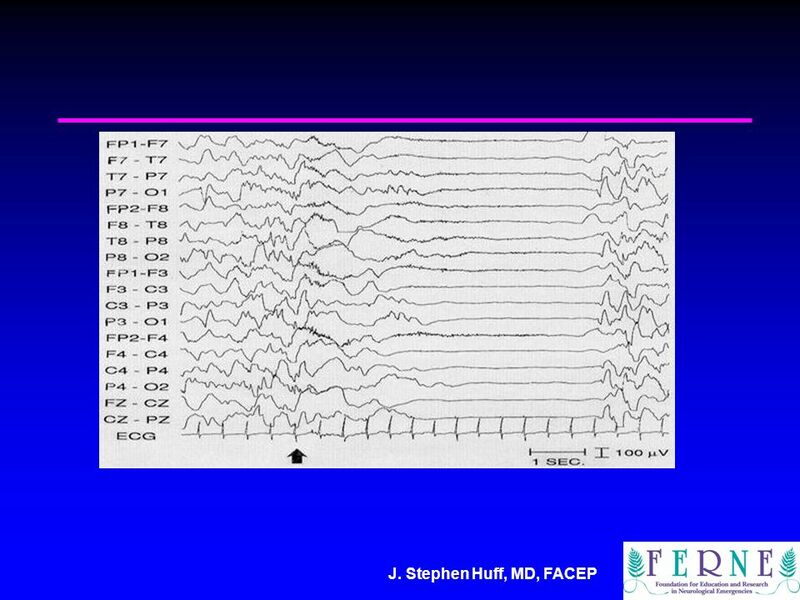 New Onset Seizures in Adults Andy Jagoda, MD, FACEP Professor of Emergency Medicine Mount Sinai School of Medicine New York, New York. 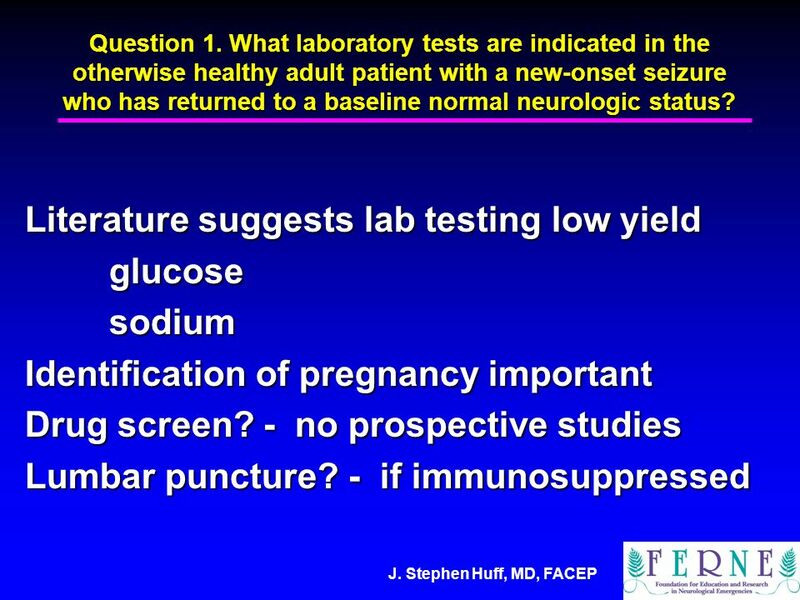 Edward P. Sloan, MD, MPH, FACEP Research Lecture : Basic Statistics. 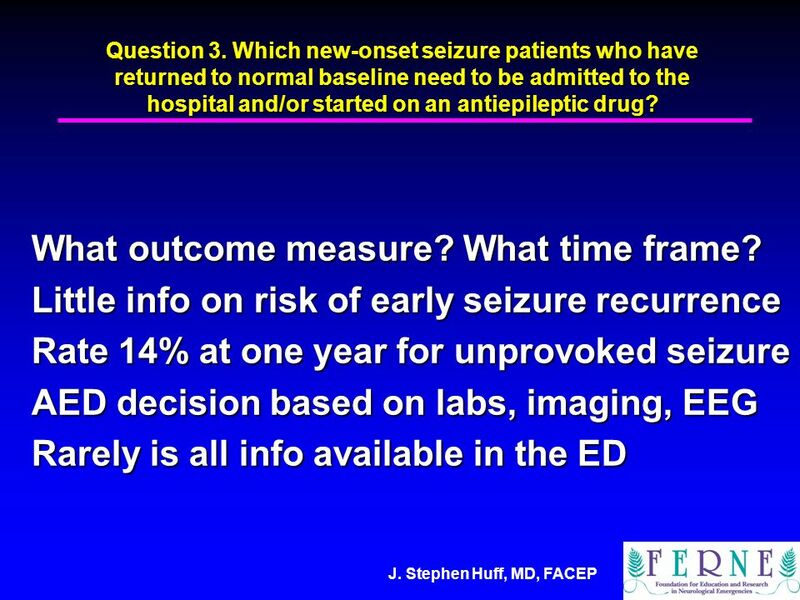 Clinical Decisions in the Management of Seizures and Status Epilepticus in the Emergency Department Andy Jagoda, MD, FACEP Professor of Emergency Medicine. 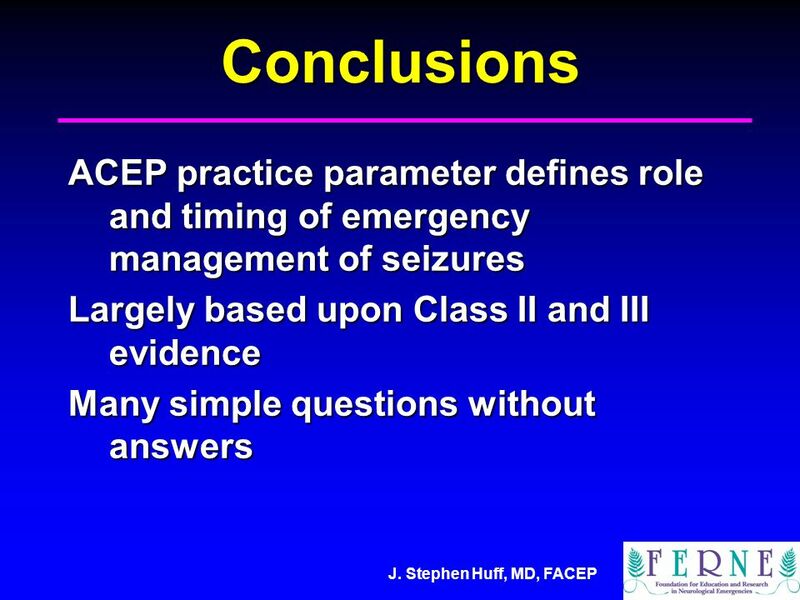 Optimizing Seizure and SE Patient Management in the Emergency Department Edward P. Sloan, MD, MPH, FACEP. 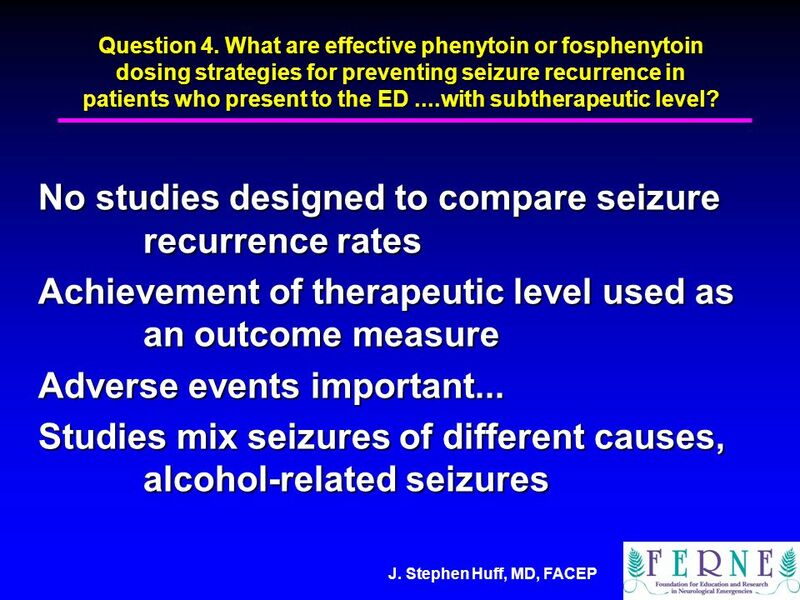 Issues Surrounding the Management of Patients Who Present to the Emergency Department with Subtherapeutic Phenytoin Levels and a History of Seizures Edwin. 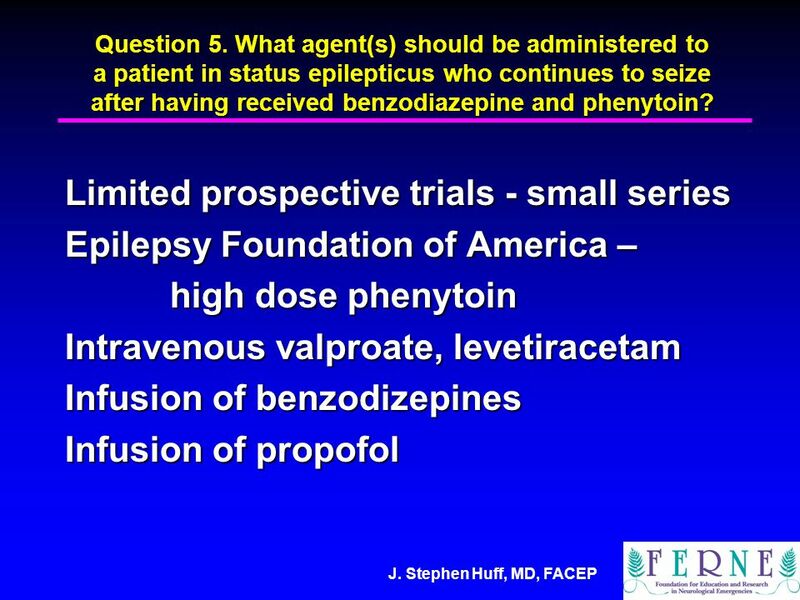 What is the Best Way to Provide a Phenytoin Load? Edwin Kuffner, MD Rocky Mountain Poison and Drug Center University of Colorado. 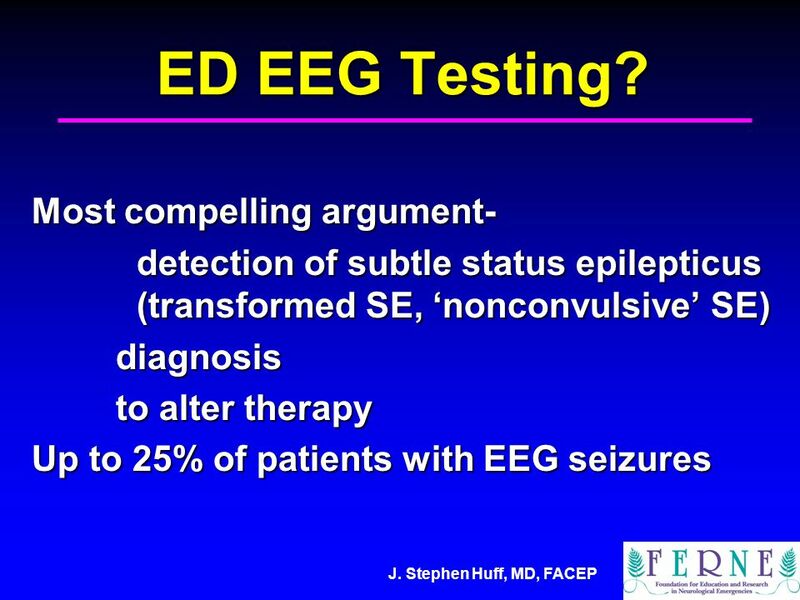 Epilepsy 2 Dr. Hawar A. Mykhan. 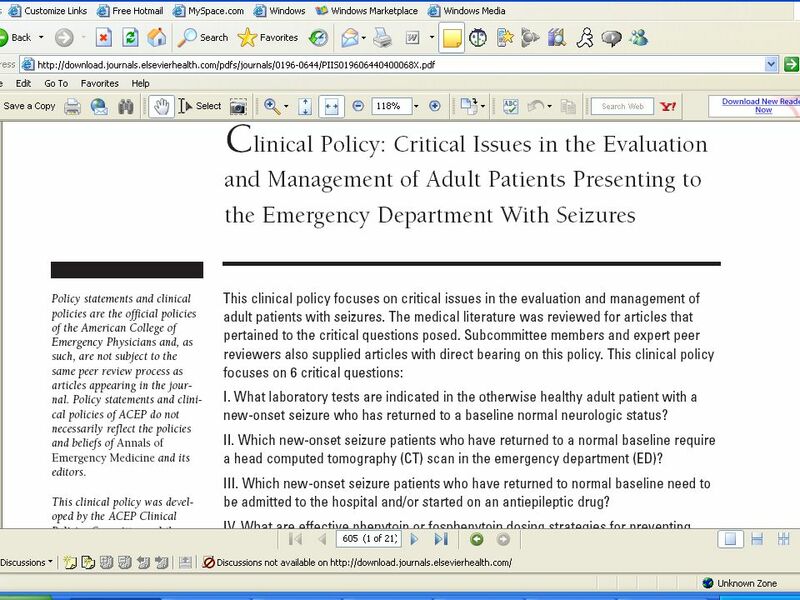 Edward P. Sloan, MD, MPH, FACEP Conducting Successful Emergency Medicine Research: Compelling Grant Writing. 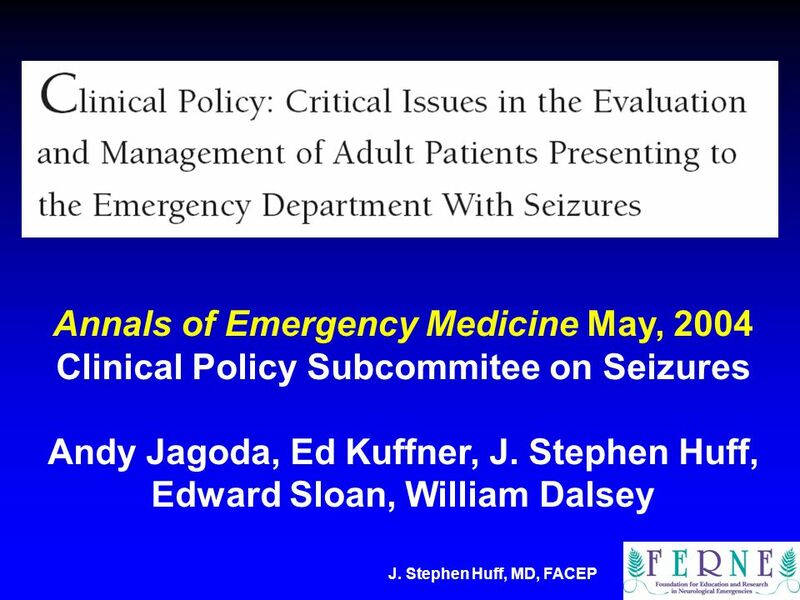 Seizure Management in the ED: Putting It All Together Andy Jagoda, MD, FACEP Professor of Emergency Medicine Mount Sinai School of Medicine New York, New. What Do We Do When Benzodiazepines Fail?. 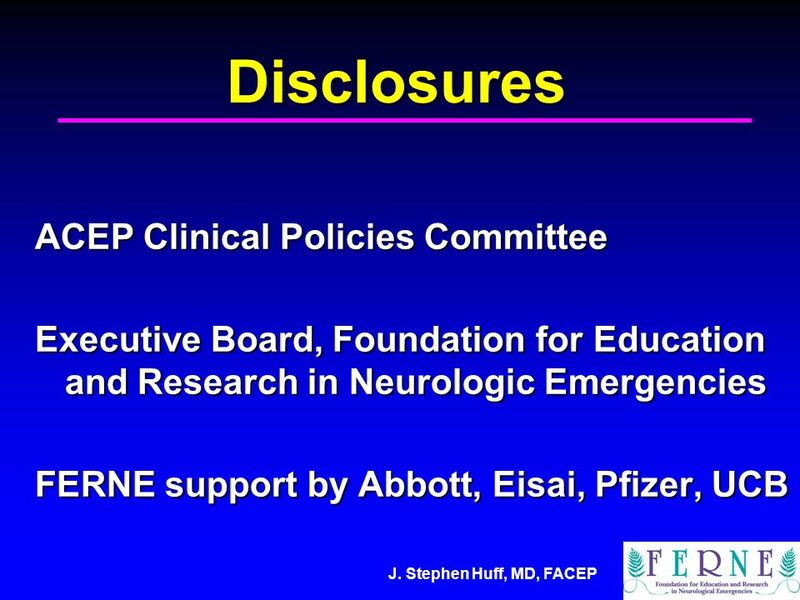 Edward P. Sloan, MD, MPH Associate Professor Department of Emergency Medicine University of Illinois College. 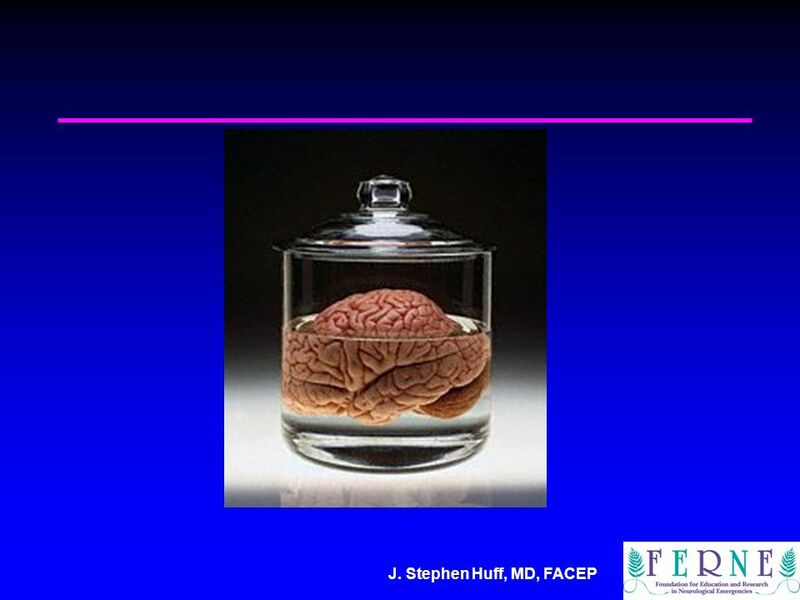 ED TIA Patient Case Presentation Transient Ischemic Attack Patient Update: The Optimal Management of Emergency Department Patients With Suspected Cerebral. 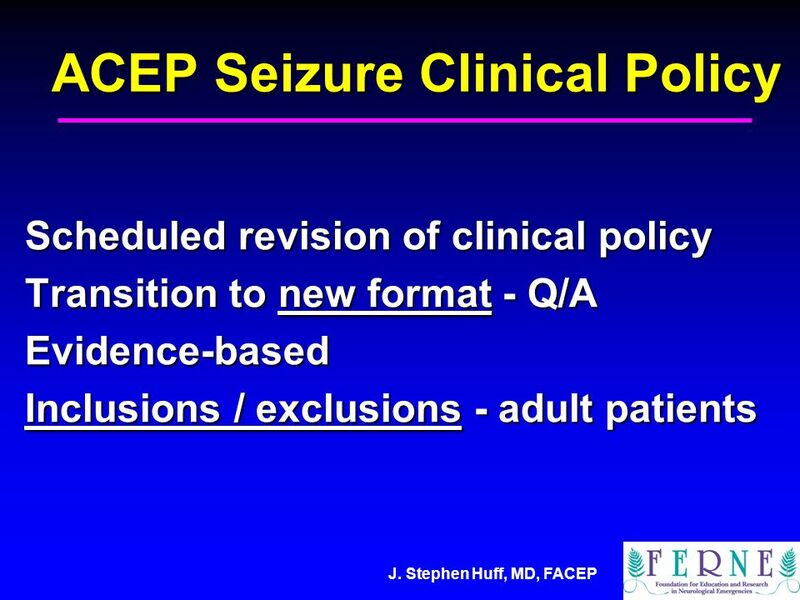 SeizureStat © A PDA Software for Seizure/SE Therapeutics and the 2004 ACEP Seizure Clinical Policy Edward P. Sloan, MD, MPH, FACEP Associate Professor. 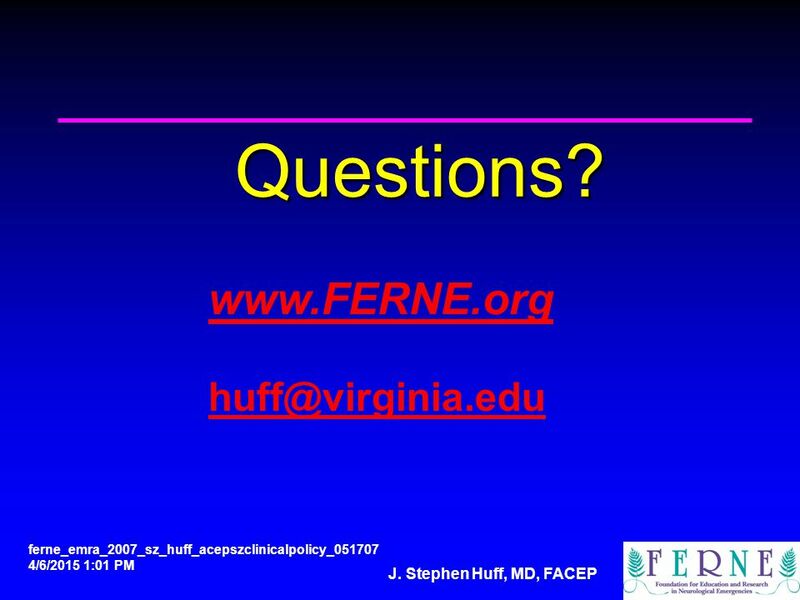 Edward P. Sloan, MD, MPH, FACEP Conducting Successful EM Resident Research: Research Project Idea Generation.